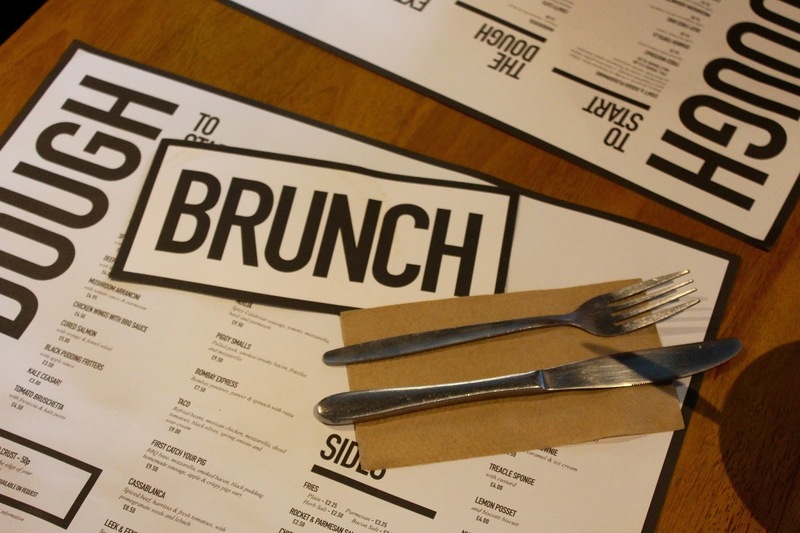 I'm always on the hunt for a good place to brunch here in Sheffield; although we have some great eateries around the city very few have hit the spot for me when it comes to a good mid morning treat. 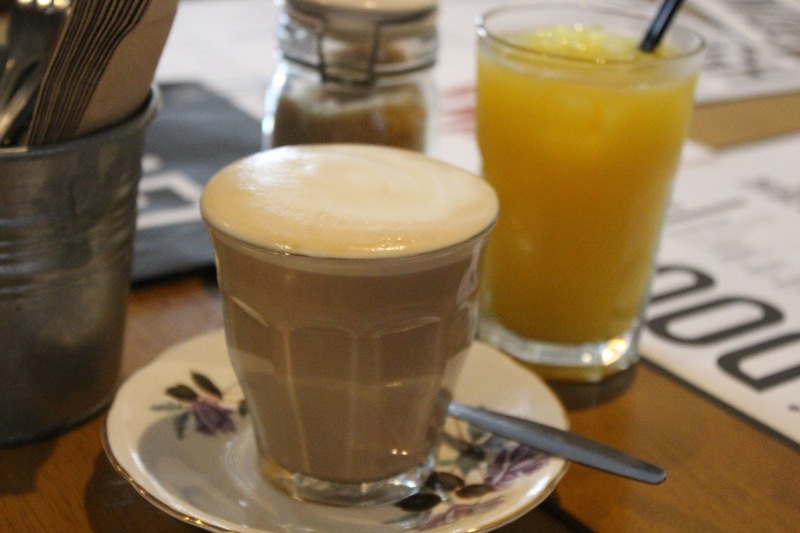 So, when I received an invite to go and sample the new brunch menu at Craft and Dough on Ecclesall Road I was excited to see what they had to offer. 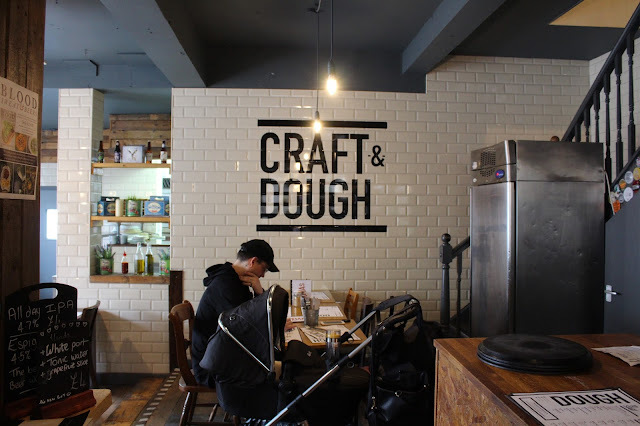 Craft and Dough is just down the road from us so we popped in last Monday morning for a nice treat on Johno's day off. The new brunch menu is served between 10am-1pm Monday- Friday at the Ecclesall Road branch and only at weekends at the Kelham Island branch. Once settled at our table we ordered some drinks to start with; Johno went for the ever so healthy pint of coke and I opted for a decaffeinated latte and an orange juice. Extras all £1- bacon, avocado, poached eggs, pork cuts. 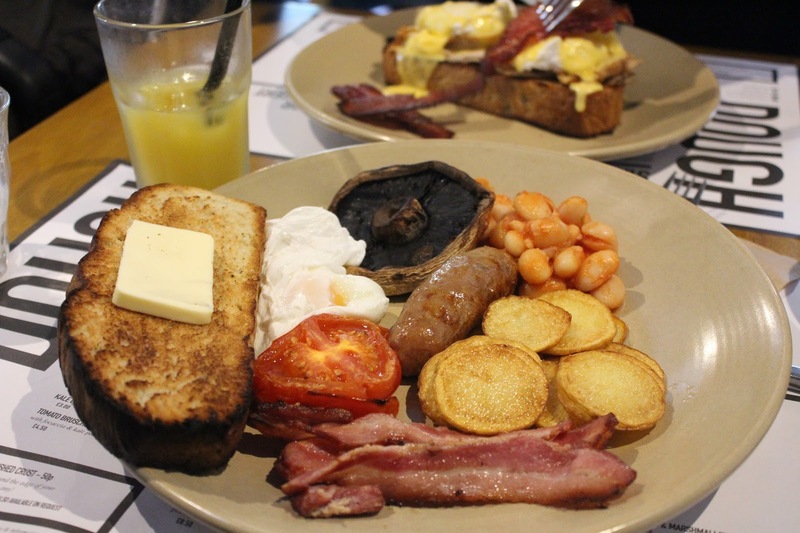 The main brunch menu also offers full cooked breakfasts and breakfast sarnies. I opted for the Crafty Breakfast-yorkshire sausages, streaky bacon, poached eggs, roasted plum tomato, field mushrooms, fried potatoes and homemade beans (all for £6.50). My fave part of the breakfast was the flavourful Yorkshire sausage and the baked on site thick bread. I was a little piggy and also went for the granola breakfast too, all in the name of blog research though as I know some people aren't into cooked brekkies and would go for this option so of course I had to try it out! 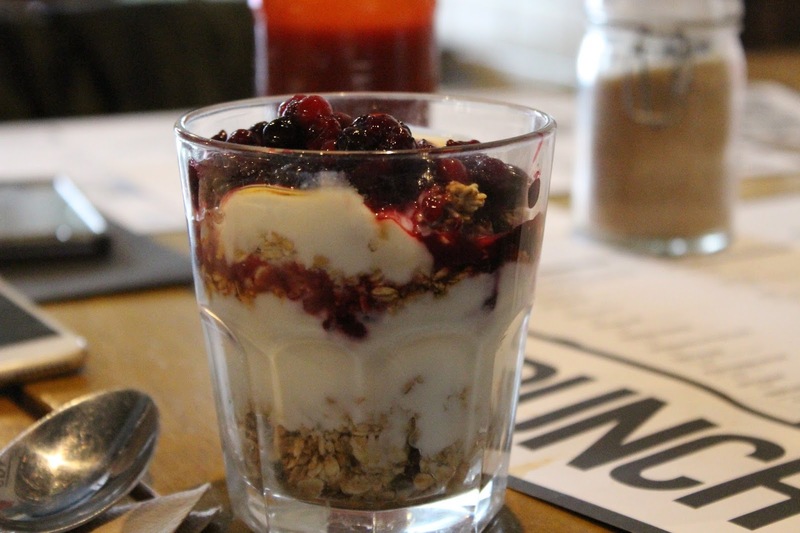 The granola breakfast is natural yogurt, hedgerow berries, granola and Yorkshire honey for £3.95- very yummy indeed; the tartness of the berries works well with the smooth natural yogurt. Homemade bread topped with pulled pork, eggs and crispy bacon. Good original combination of flavours that worked very well together; the pulled pork worked well with the crispy bacon and smooth large poached eggs. Overall we both felt the breakfasts were very impressive; full of flavour, good quality meat and eggs,well presented and very good value for money. Next time we go (which is probably going to be this weekend!) I want to try out the mushrooms on toast and the buttermilk pancake stack. 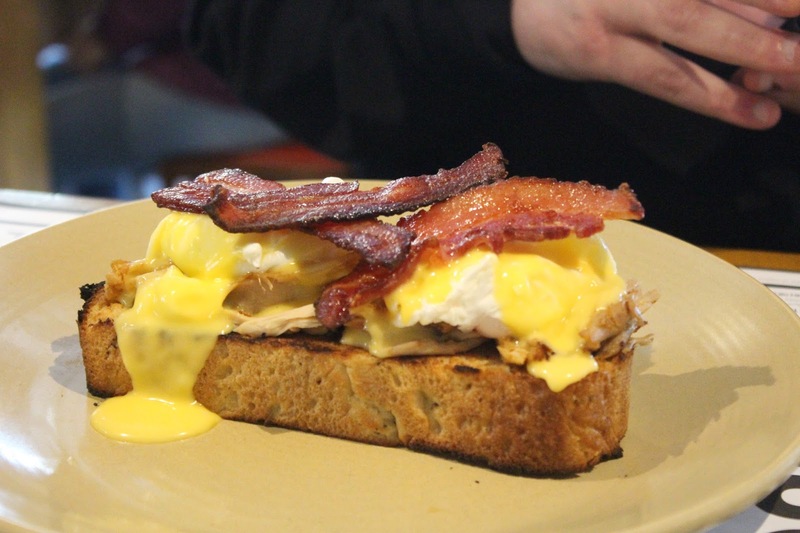 Have you been to try out Craft and Dough's new Brunch menu yet? What's your fave Brunch dish? Check out the Craft and Dough website for more info on their other menus too. 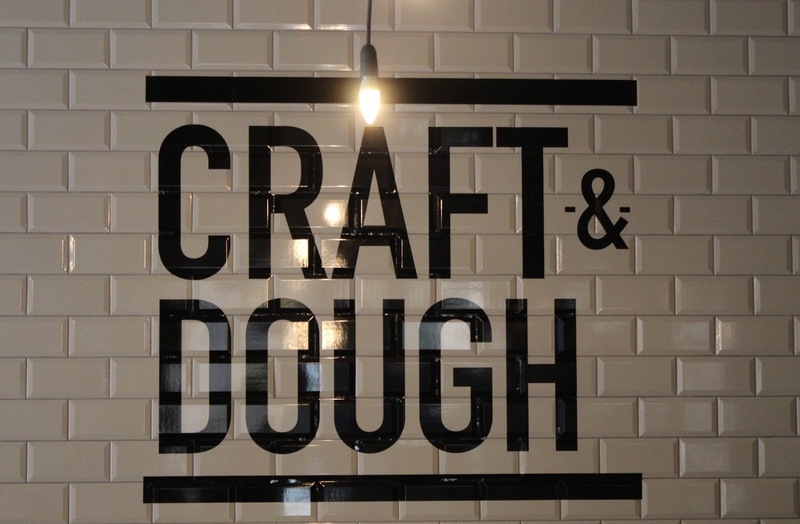 Follow Craft and Dough on Twitter here to keep up to date with their menus.